A large number of pets suffer from fear of loud noises. This becomes a problem especially over Christmas and New Year with all the fireworks and festivities. In the summer rainfall areas, thunderstorms also cause stress for our pets. There are numerous products in the market that can help your pet cope better with these loud noises, from herbal capsules, pheromone collars and sedatives (scheduled drugs) which only your vet can prescribe after having seen your pet, – as these medications may have an impact on the functioning of the heart. If you are planning on crossing the South African border with your pet, you have to enquire from the visiting country government what needs to be done to take your pet into that country. Most of our neighbouring countries only require that all your pets’ vaccinations are up to date and that you have to visit your vet for a health check and to get a health certificate shortly before going to such a country. Some countries require forms which have to be completed and signed by the State Vet. This needs to happen 10 days before you leave. Pets are free to travel within the borders of South-Africa. Pet-friendly accommodation is becoming more easily available and accessible. These establishments cater for 5-star guests to the beach loving pooch. Enquire from the establishment you are planning to visit what the rules and regulations are with regards to your pets. There are also publications and online reference websites available which will help you find pet-friendly accommodation. A pet becoming car sick can be a nuisance. If you want to avoid this, you can ask your vet to prescribe anti-nausea medication. A good tip is to not feed your pet just before you get in the car for the trip. If you are leaving on an early morning trip, do not give him/her any food after dinner. Take along enough cool water on the trip and make regular stops, at least every two to three hours, so they can have a sip of water and “go to the loo.”. It helps to travel with your dog in a basket or you could use a car harness or even a clip that attaches to the cars’ own seatbelt. This will keep your dog secure inside the car and avoid him/her from distracting the driver. 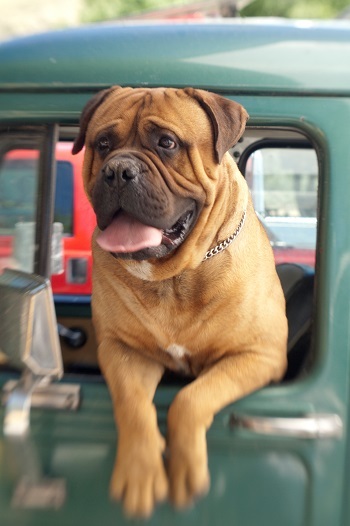 Do not let your pets put their faces outside the window while the vehicle is in motion as a loose object can be thrown up by a tire and seriously injure your pet. It is much better to keep your pets safely inside the car with the windows very slightly opened at the top to let in fresh air or alternatively to leave the windows closed and switch on the air conditioner if your car has one. It is very unsafe for pets to travel on the back of a bakkie, as they can easily be thrown off the vehicle in case of an accident. Cats should be in a basket when travelling, never leave them to roam loose in the car. Cats feel safer in the confined space of the basket and it is safer for any passengers in the vehicle as well. It is not easy to catch a cat which is on the run so do not risk it. Having your pets properly identified before you leave on holiday, preferably with a permanent microchip is the best way to trace them back to you should they get lost. Micro-chipping is a quick and fairly painless injection under the pet’s skin on the neck. A microchip cannot be lost like a collar and tag, hence making it the ideal form of permanent identification. A microchip is about the size of a rice kernel. If your pet gets lost and taken to a vet or SPCA they can trace the number by scanning the pet and phoning you directly. Make sure your details are up to date should your pet already have a microchip. Having a collar with a tag is always a good idea. Make sure the tag does not only have the dog’s name but also has your mobile telephone numbers on it. Never leave your pet in a closed car. Dogs and cats do not regulate temperature the same way humans do and can die from heatstroke or hyperthermia (increase in body temperature) very quickly. If your pet is not used to a lot of exercise you should not expect him/her to exercise extensively while on holiday as it could also cause an increase in body temperature and result in heatstroke. A long run on the beach should, therefore, occur in the early morning or late afternoon when it is not so hot. Your dog should be given enough time to rest in between. When your pets are socialising with other animals, you should supervise them at all times as not all dogs and cats may be as well behaved as yours. Pets are like children and tend to make friends easily. If your dog finds a buddy on the beach, let them frolic and play. They will love it and you will enjoy the fun.